Raymond J. Barry is a veteran of both screen and stage work.Some of Barry’s feature film credits include Born on the Fourth of July, Dead Man Walking, The Deep End, Walk Hard: the Dewey Cox Story, Training Day, Flubber, The Ref, The Chamber, COP, Falling Down, K-2, Rapid Fire, Cool Runnings, and Sudden Death. His many television appearances include the series Justified, Cold Case, Law and Order, Lost, CSI, Alias, The Cleaner, The X Files, Tales from the Crypt, and L.A. Law.For his role in Steel City, he was nominated for an Independent Spirit Award in 2007. For his role in Interview with the Assassin, he received the Best Actor award at the New York International Independent Film Festival in 2002. In theatre, he began with such legendary companies as the Living Theater, and Joseph Chaikin’s Open Theater where he toured around the world, and took part in such creations as The Serpent, Terminal, Mutation Show, Masques, Endgame, and Nightwalk. He went on to perform in more than eighty productions in New York, from Broadway to Off Broadway, including the Tony nominated musical Happy End by Kurt Weil and Bertolt Brecht. 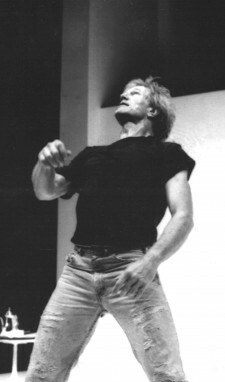 For his work in theatre, he received a Dramalogue Award for his lead performance in Sam Shepard’s Buried Child. He also received a Dramalogue Award and L.A. Drama Critics Award for Writing and Best Actor, for his play Once in Doubt. He has been married to writer Robyn Mundell for the past twenty years. Together they have four children, Oona, Raymond, Liam, and Manon.